Ten Best Xeric Plants – these classic favorite drought tolerant perennial plants are renowned for their reliability in the dry garden. Tried and tested, these plants are tough, resilient and low maintenance. Many commonly grown perennials require dividing when they get too big for their space, pruning to remove dead growth and other seasonal chores. 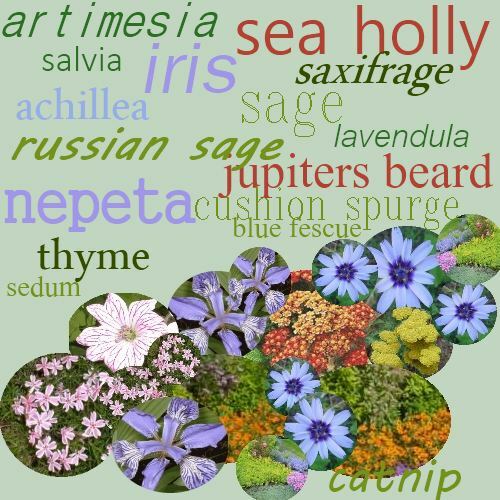 The plants listed here are more amenable to being allowed to grow at their own pace, require little to no trimming or fertilizing and no extra irrigation. This makes them great choices for those parts of the garden where you really want low care plants, perhaps on the ‘hell strip’ alongside the road way, or in areas that are steeply sloping, with no access to water. Wherever tough conditions exist, these plants can take on the challenge and thrive. A low maintenance garden can still be beautiful and colorful, as this choice list proves. 5. Festuca glauca - Blue Fescue - these do well in partial shade in my garden. 6. Iris - bearded Iris dwarf and German bearded irises - lovely in bloom, or out. The blue green sword like foliage is a great foil for other more delicate textures. 7. Lavendula angustafolia - lavender - not only a great xeriscaping sub shrub, but a delightfully scented addition to pot pourri, as well as a bee magnet. 8. Nepeta mussinii - catnip - pretty blue spiky flowers attract many beneficial insects, as well as the odd feline. 9. Perovskia atriplicifolia - Russian Sage - there are now some smaller growing types available that don't have the distressing tendency to topple over. Not to worry, these respond well to a severe pruning to make them more bushy. 10. Salvia varieties and species; Many ornamental sages are tough and reliable. Hard pruning in early spring will force new lush growth from the woody stems. 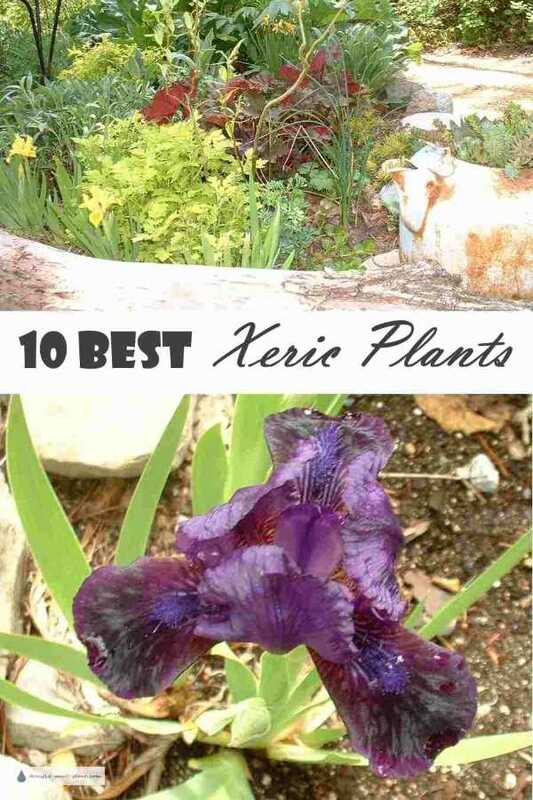 Use this 10 Best Xeric Plants list to start planting your xeric garden; many of these plants have been chosen because of their long history of growing success in many varied climates and soil types. 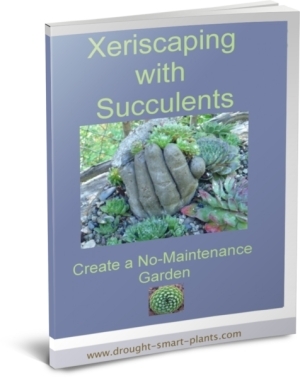 This ensures that they are easy to care for, versatile and robust; all the attributes of a perfect xeric plant. All of these plants are hardy to Zone 5a, on the Canadian Plant Hardiness Zone map, which is Zone 4 on the USDA Planting Zone map.